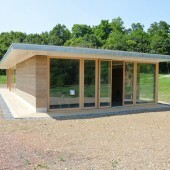 The nature centre is located in the green areas of Hungerberg in Ludwigsburg. 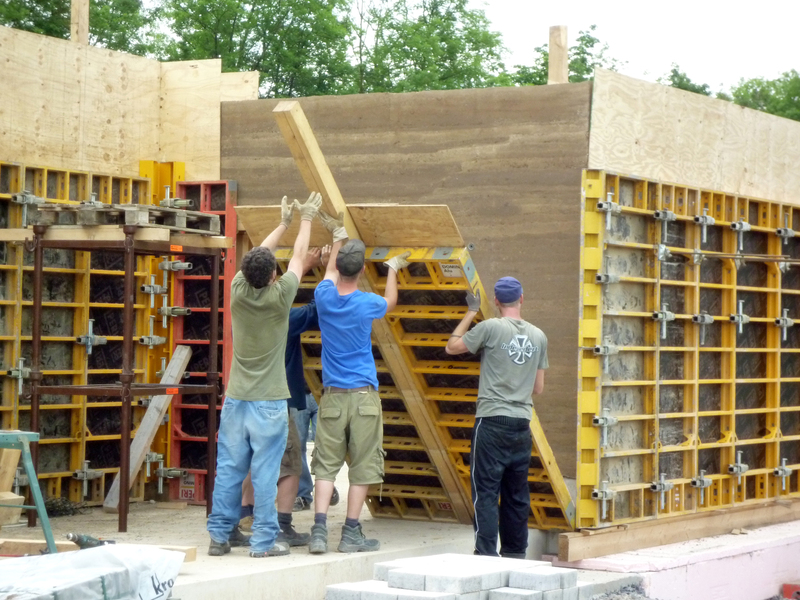 On an area of 192 m², the heart of the nature centre forms the 60 cm thick, 3m high and 30m long rammed earth wall that goes from the west to the east side of the building. On one hand old, established and sustainable materials, processes and building methods were used, on the other hand climate adapted measures got combined with the most modern climate standards and building techniques. 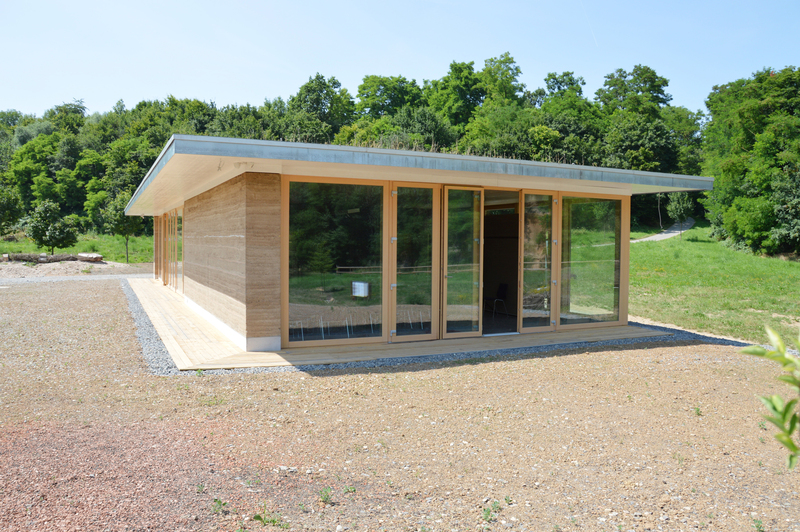 The nature centre is home to the local beekeeper community and it also offers an additional seminar room that is used by the city of Ludwigsburg. The realization is the result of a cooperation of different project partners. Students of the HFT Stuttgart, the competence centre for earth building at the HFT Stuttgart, led by Prof. Löffler, the representatives from the city of Ludwigsburg and from the beekeeper community as well as external experts were involved. 1. The theoretical part, a design and a planning part. The design works focused on the theoretical conceptual questions on how to build an energy efficient building with natural materials while still reflecting modern architecture. After an internal competition, one design was chosen and three different groups worked on the winning design: The design group, the execution planning group and the team ‘building technology’. 2. The practical part followed in the summer 2012. 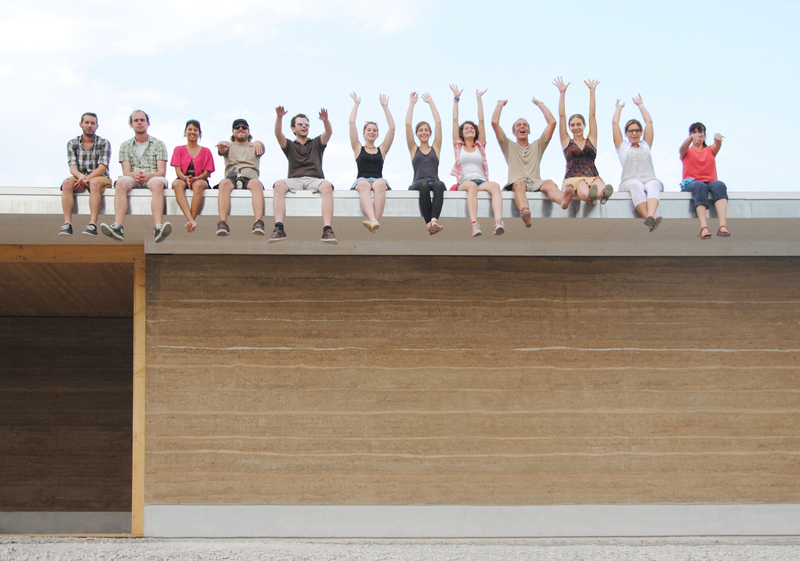 Under supervision of a clay expert and carpenter, the students mixed 150m³ of earth material from local occurrence and build up the rammed earth wall, the wooden ceiling construction followed. All the other components were supported by the beekeeper community, through the participation of volunteers and with the help of sponsors. Firdes Firat, Philipp Gmeiner, Helena Hahn, Andreas Häusler, Matthias Hoenig, Svenja Hofmann, Ana Kircheisen, Richard Krecké, Jens Majer, Teresa Maria Minek, Jonathan Friedemann Mittner, Anika Münz, Benjamin Reinhardt, Fabian Scherz, Kerstin Sieber, Stefan Sommer, Christina Steil, Heiko Streich, Frizzi Wallmersperger, Robert Weber, Stephanie Weiss, Michael Widmayer. Research Question: How to carefully handle nature aspects when building in green spaces? / How to develop design methods of integrative architecture focusing on sustainability? / How to develop competencies in regards to planning and building with natural materials? / How to develop methods of participatory planning?